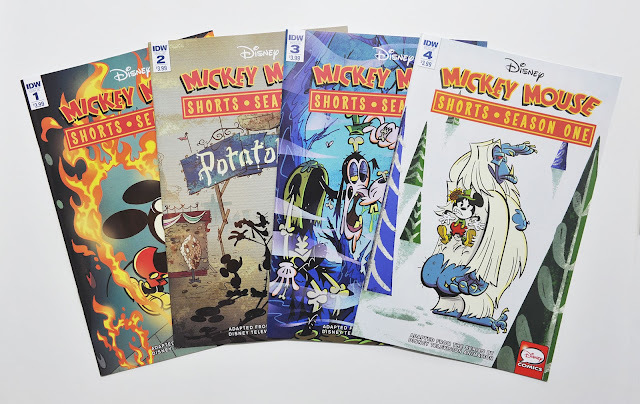 IDW just finished their 4-issue run of Mickey Mouse Shorts: Season One. When I first heard the news about this series saying it was going to be a new adaptation of the animated series I got a bit excited. 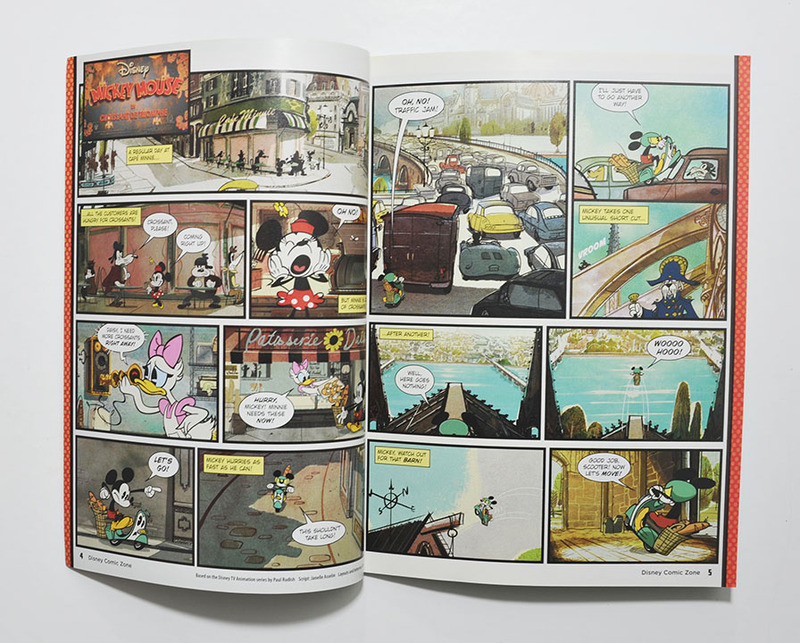 I had already read some earlier comic stories made from screencaps, but got the impression the new IDW series was going to be something completely new. And I assumed it was actually going to be drawn, but in the same style as the animated series. This sounded like a really interesting project! So I have to admit I got a bit disappointed when I realized the IDW series was going to use the exact same screencap comics already available, but with a new dialogue adaptation. 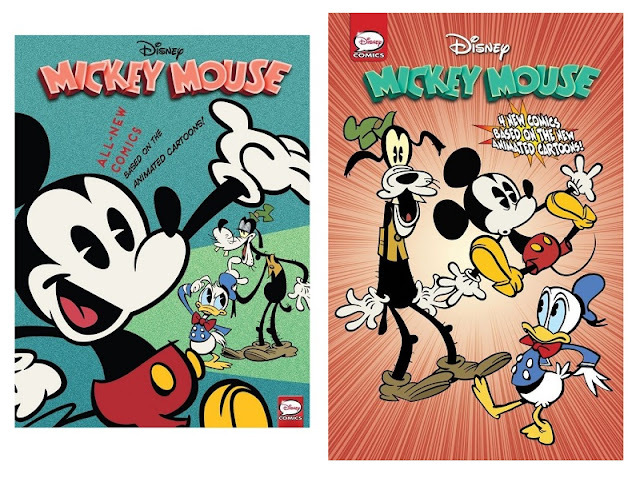 Under are a couple of examples showing the difference between the original adaptation and the IDW adaptation. In four issues IDW published a comic adaptation of all 18 episodes from season 1 of the animation and one episode (ep. 22) from season 2. I don’t think any other publishers have printed all of them, at least not in English – so it’s great to have all collected. 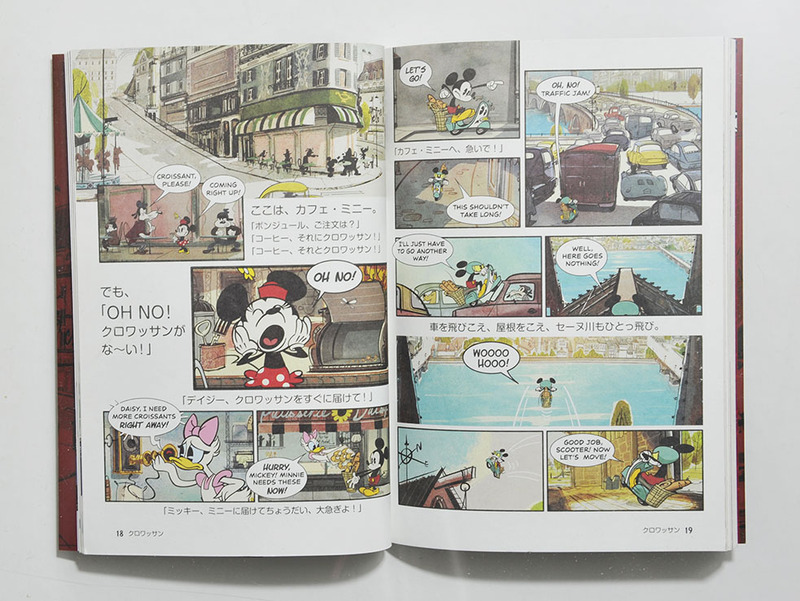 But most of the original dialogue adaptations are available in English too. The first 9 episodes were published digitally in two issues on comiXology, a 2013 Comic Zone issue got a few, and a Japanese book published 12 episodes with both the English dialogue and a Japanese translation. I made this table to get an overview of all known English prints (at least known to me). All have the same art, but IDW got different dialogue than the rest. I did a couple of comparisons with the comic adaptation to the left and the frame from the animation that was used to the right. 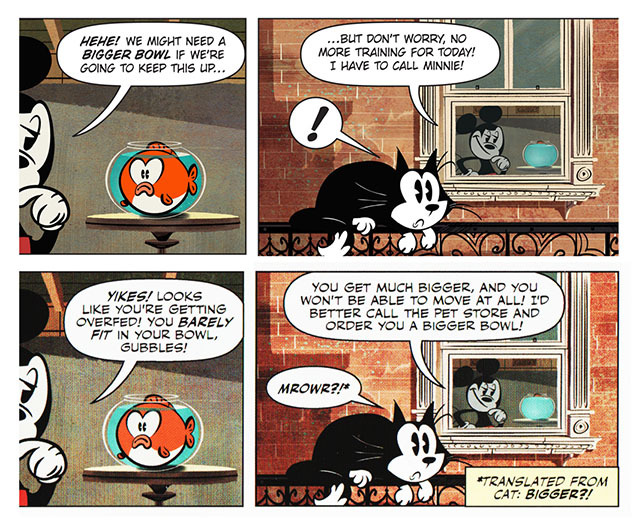 In the first example most of the frame was used as a comic panel without much editing. While in the second example we can see that the background has been changed compared to how it looks in the animation. Looking more closely at the last image from "Third Wheel", I think it's more likely that the comic was made from an early cut of the episode than being edited to insert more clutter in the background. "O Futebol Classico" may have been released in Season 2, but it was actually produced as part of Season 1—and released that way on DVD too. 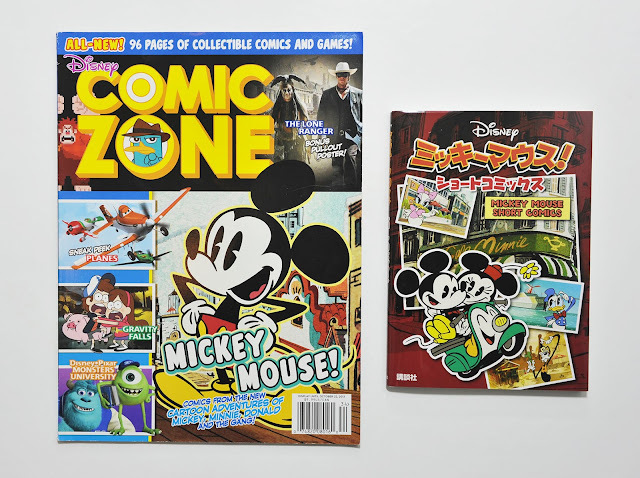 That's why it was included in the Season 1 batch that got adapted for comics, and why we included it in our series. I like the animated series a lot, but that DVD seems a bit pointless getting as you can watch the episodes in better quality for free online.